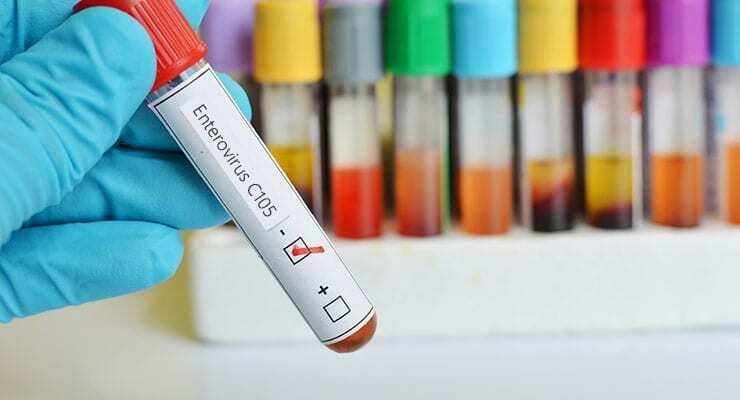 A mysterious outbreak of child paralysis cases previously linked to enterovirus D68 may instead have another cause, doctors at the University of Virginia Children’s Hospital are cautioning. A 6-year-old girl arrived at UVA Children’s Hospital in October after her parents noticed that her right shoulder was drooping and that she was having difficulty using her right hand. She had previously exhibited cold-like symptoms, including a cough, a slight fever and headache. The child’s paralysis symptoms were similar to those seen in more than 100 other children during an outbreak of acute flaccid myelitis that began in the summer of 2014. In the case study, Turner and his co-authors note that while many of the 118 children affected by the paralysis outbreak had also exhibited cold-like symptoms, enterovirus D68 was detected in only eight of the 41 children tested for it. Turner suggests that the outbreak of enterovirus D68 at the same time as the paralysis outbreak may have been a misleading coincidence.